The Rodgers family of Cumberland/Dauphin County, Pennsylvania, were Scots-Irish Presbyterians and members of the Middle Spring Presbyterian Church, neighbors to Quigleys, Pattersons, Linns, and McCormicks. The immigrant was a William Rodgers, from County Derry, Ireland, according to family tradition, born about 1700. I have never learned the name of his wife. His son Richard, born 1733, married Rachel Denny and lived at Hopewell Township, in what is now Dauphin County. Their son James (1775 - 1831) first married Jennet Quigley, with whom he had six children. After her death in 1823 he married Jane Linn and with her had three additional children, two of whom (James and Andrew Denny) survived to adulthood. 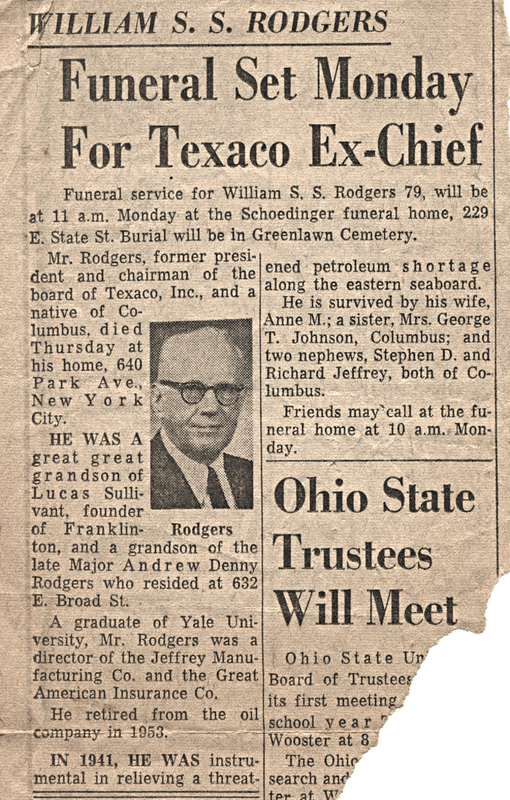 A number of the children of James Rodgers migrated west to Springfield, Ohio, in the early 19th century, and after his death his widow and the youngest two children also relocated to Springfield. Jane is buried at Ferncliff Cemetery as are others of this family. The Rodgers family produced medical doctors and leaders of the early manufacturing industry in Springfield. James Jr. became a Presbyterian minister and principal of the Springfield Female Seminary. 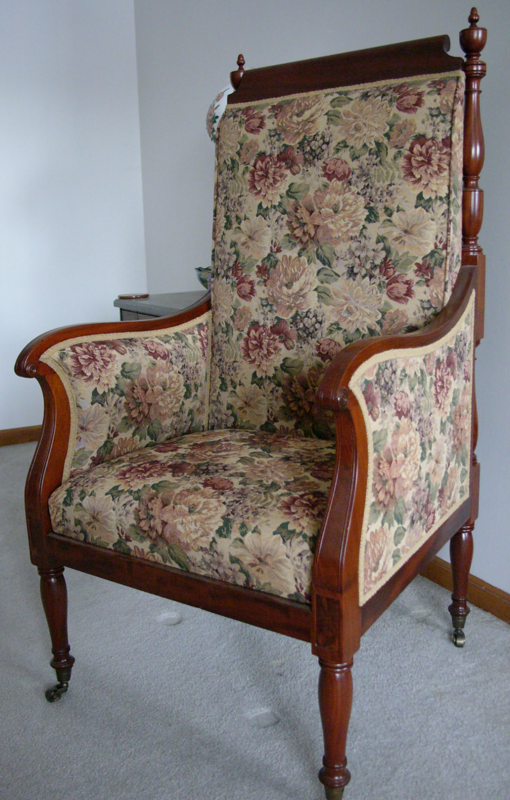 The office chair of James Rodgers Jr., from the Female Seminary was given to me by a descendant (photo below). Office chair of Rev. James Rodgers, principal of the Springfield Female Seminary during 1857 - 1871.